Finally some action on USD/JPY! After days of sideways movement, the pair made a strong break below the 102.00 major psychological support level and dipped close to the 101.50 mark. It appears that dollar bears need to pull up for some air after that sharp dive though, and the broken support level is looking like a pretty solid resistance area. This is close to the 38.2% Fibonacci retracement level, which might be the ceiling for a potential pullback. Stochastic is just starting to move out of the oversold area though, which means that buyers are currently in control. Looks like the Kiwi just busted out of its range! The pair made a strong break above the .8700 major psychological resistance as risk appetite picked up in yesterday’s trading sessions. 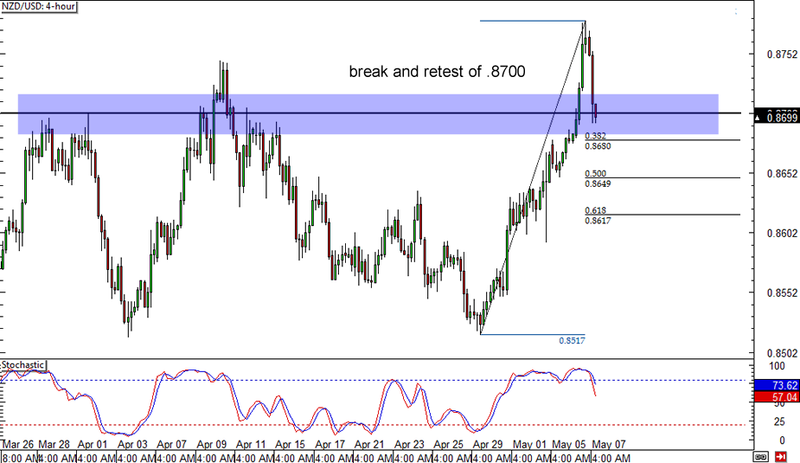 Before NZD/USD heads any higher though, Kiwi bulls need to gather more buying momentum and that’s probably why the pair made a pullback to the broken resistance area. 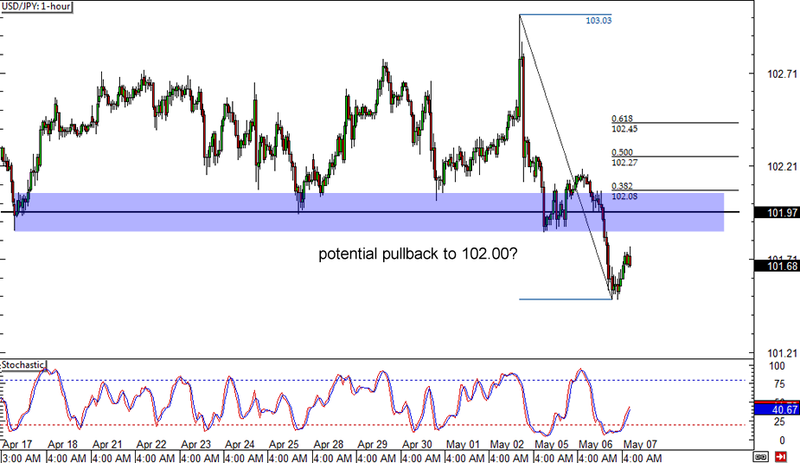 Take note though that stochastic is indicating a buildup of selling pressure, which could lead to a deeper retracement to any of the Fib levels marked on this 4-hour forex chart. If you’re more into swing setups then here’s one just for you. 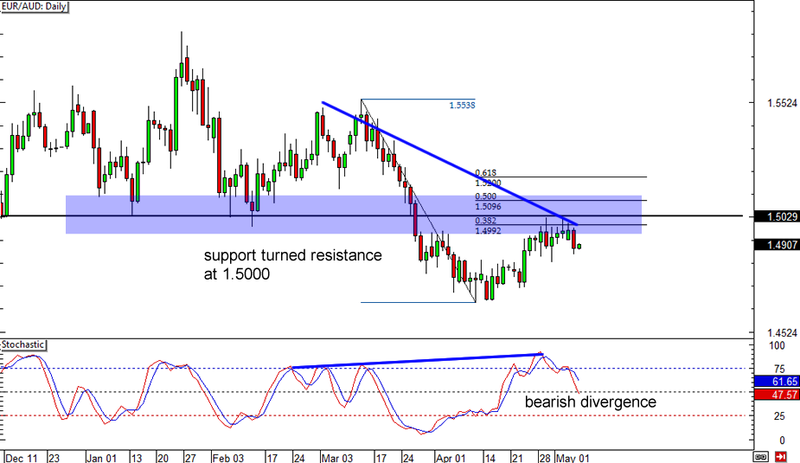 EUR/AUD has been finding resistance at the 1.5000 major psychological level, which lines up with the 38.2% Fibonacci retracement level on the latest swing high and low on the pair’s daily forex chart. This also coincides with a former support area and to top it all off, there’s a bearish divergence starting to play out! If the pair resumes its selloff, it could make its way back to those previous lows near the 1.4650 minor psychological level or even make new ones.